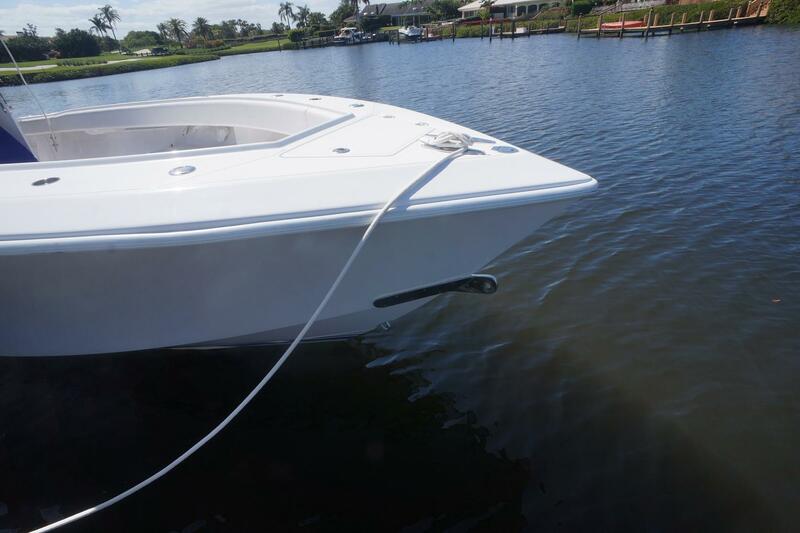 Come see this incredibly clean 41 Bahama! 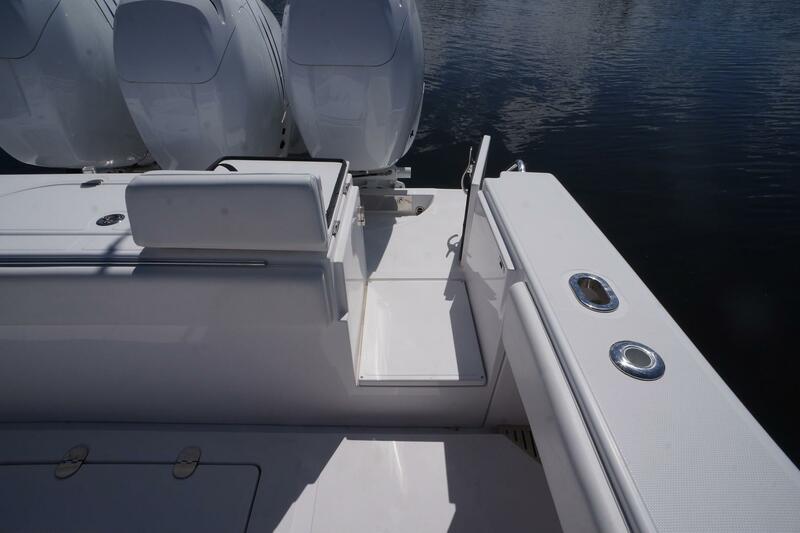 Always detailed and covered when not in use, she shows much newer than her 2013 pedigree. 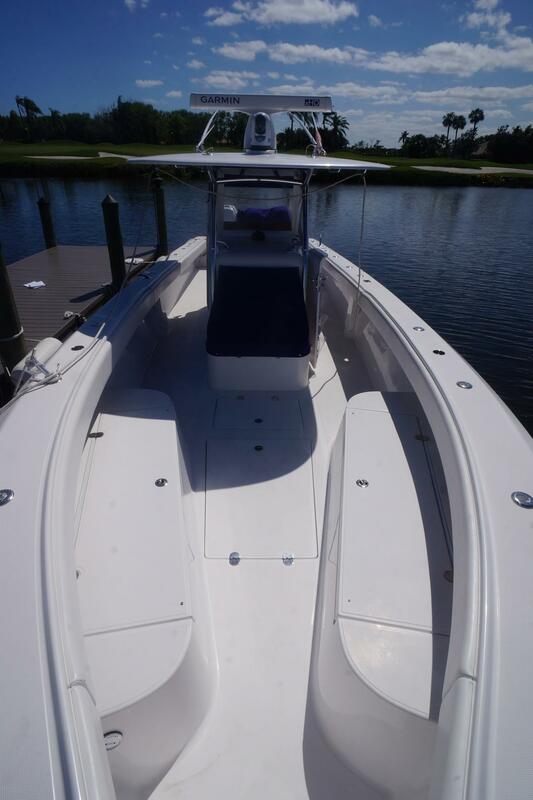 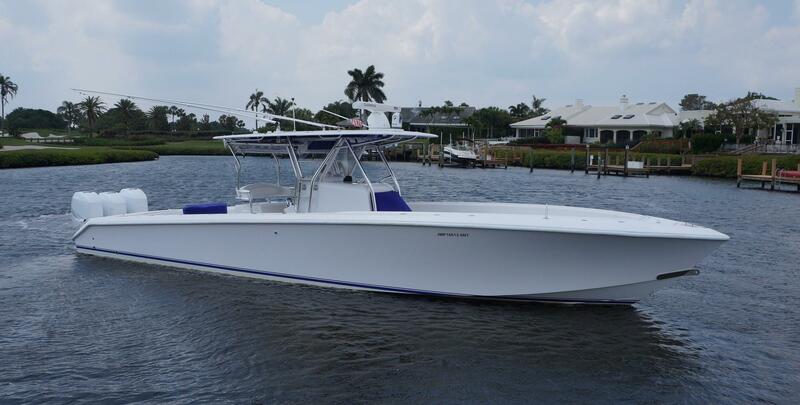 Triple Mercury Verado 300hp (Custom Painted to match the Hardtop, Hull and Boot Stripe) with 650 hours. 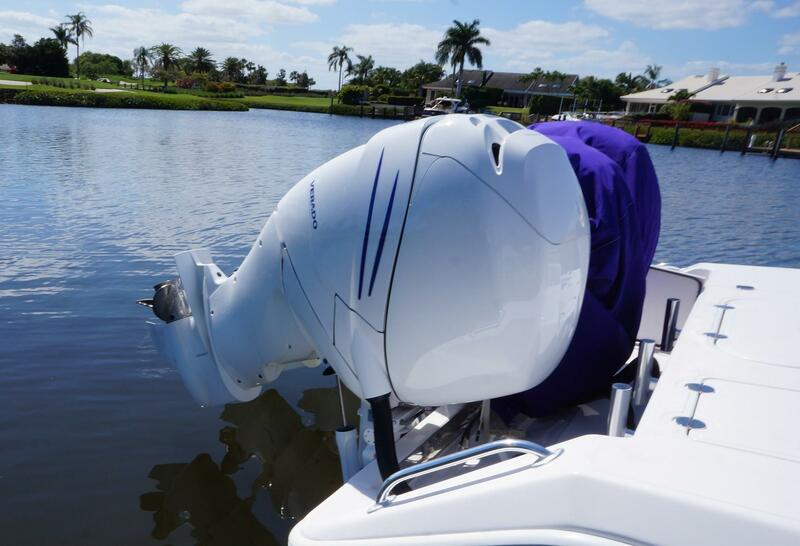 These engines are covered for almost two more years under the Platinum warranty. 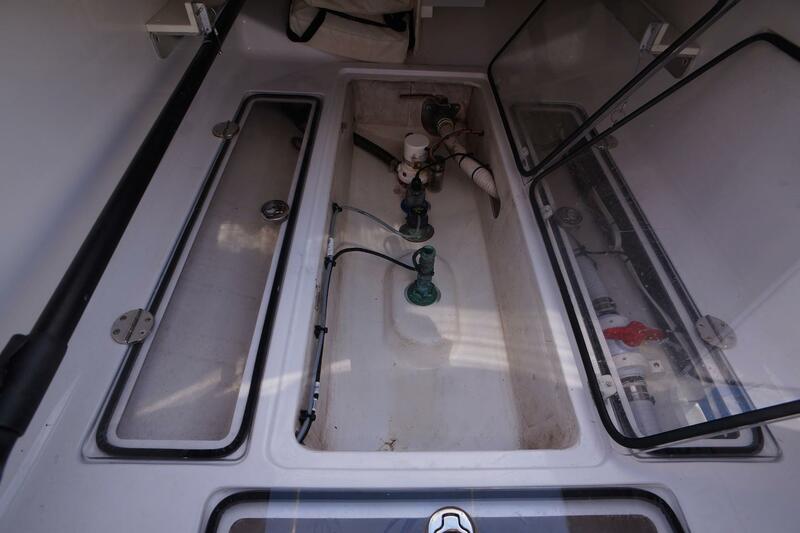 This boat has been set up as a tender with the reinforced towing eye. 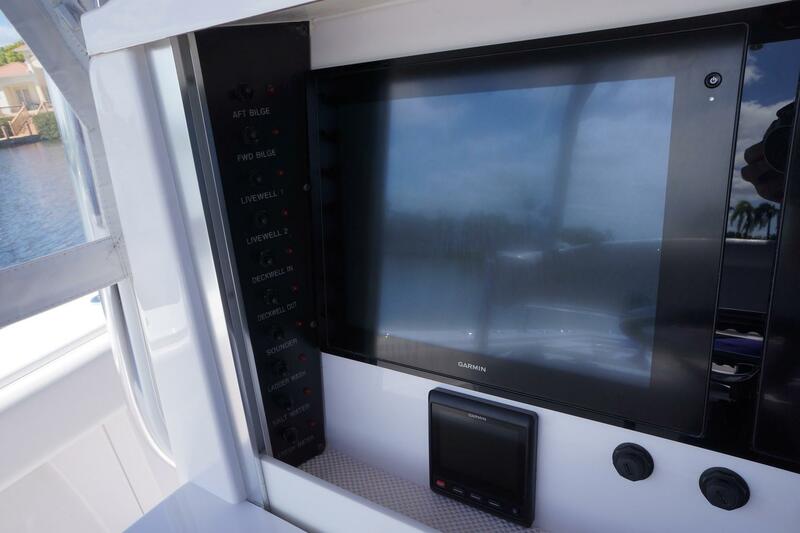 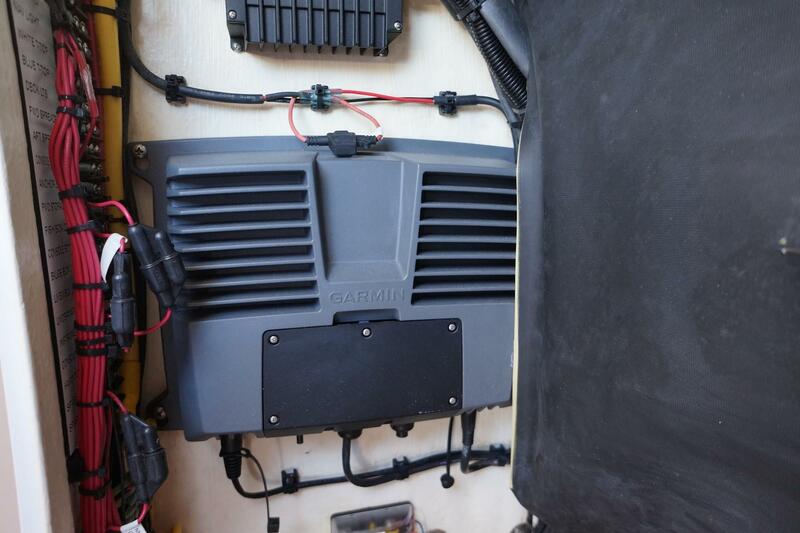 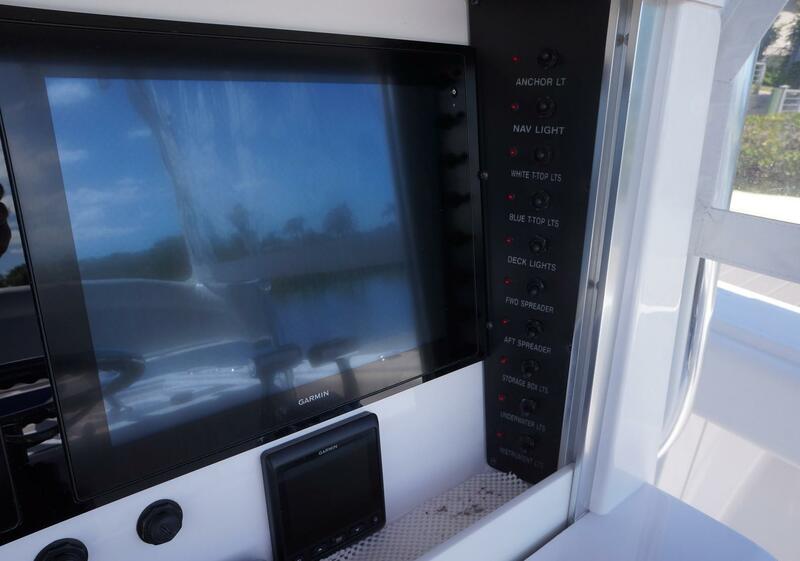 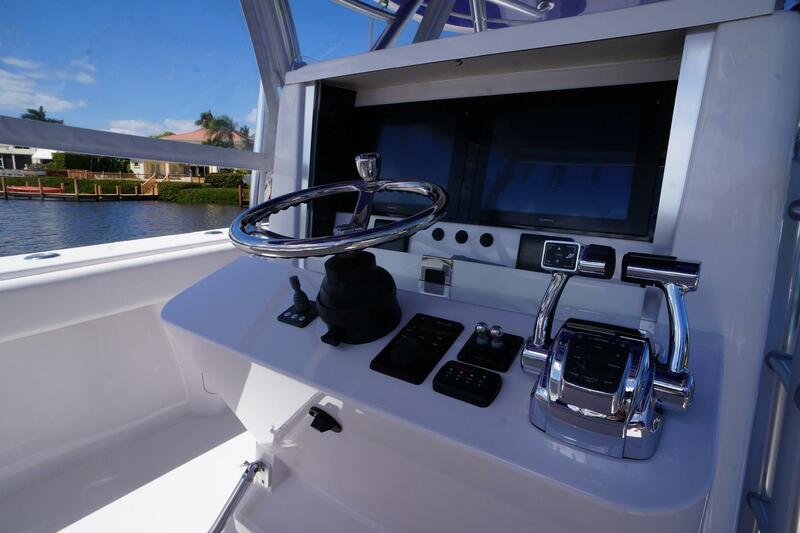 At the helm are twin sleek, black flush mounted Garmin touchscreens, radar plus auto pilot. 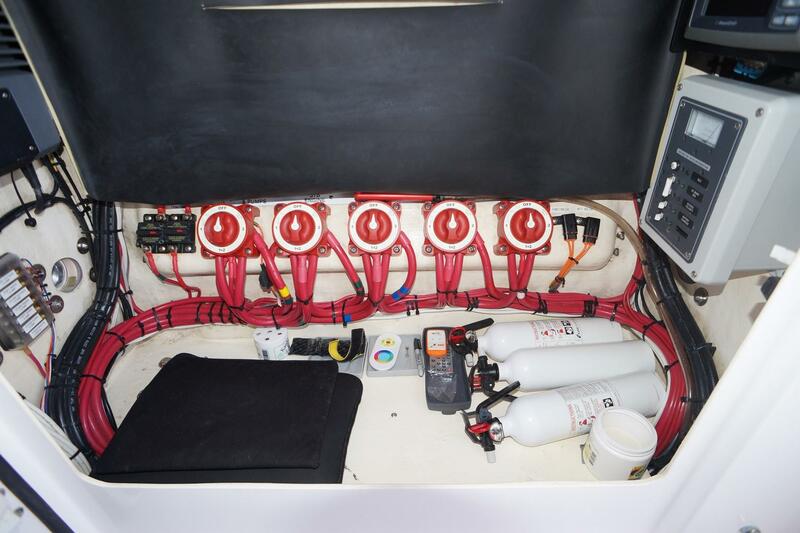 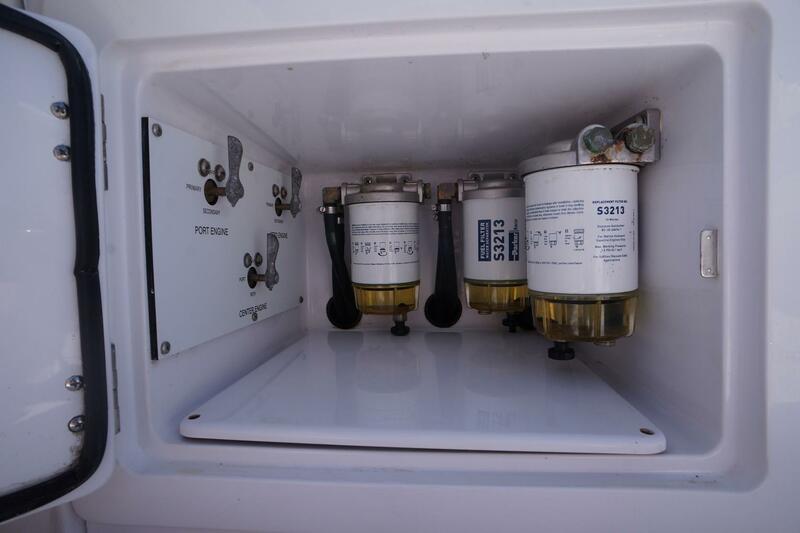 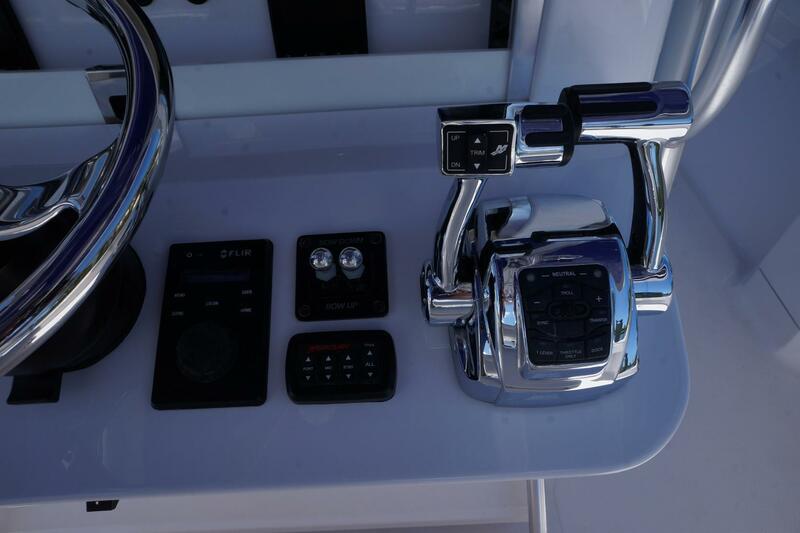 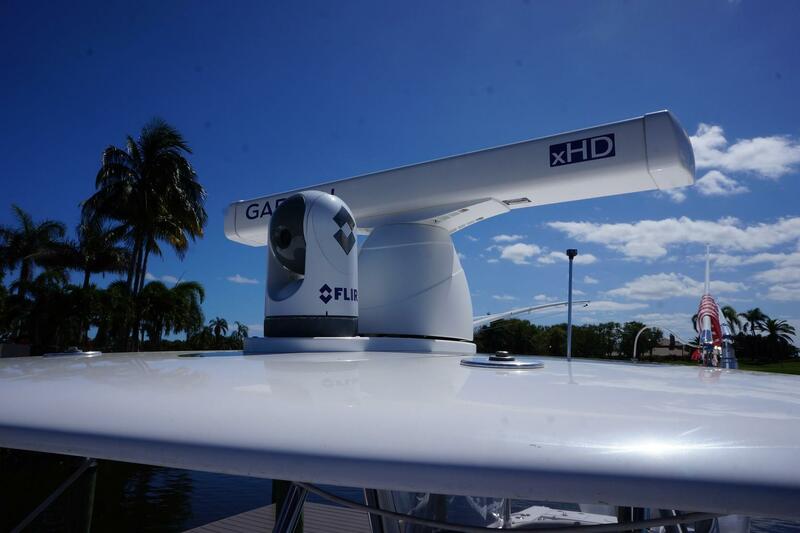 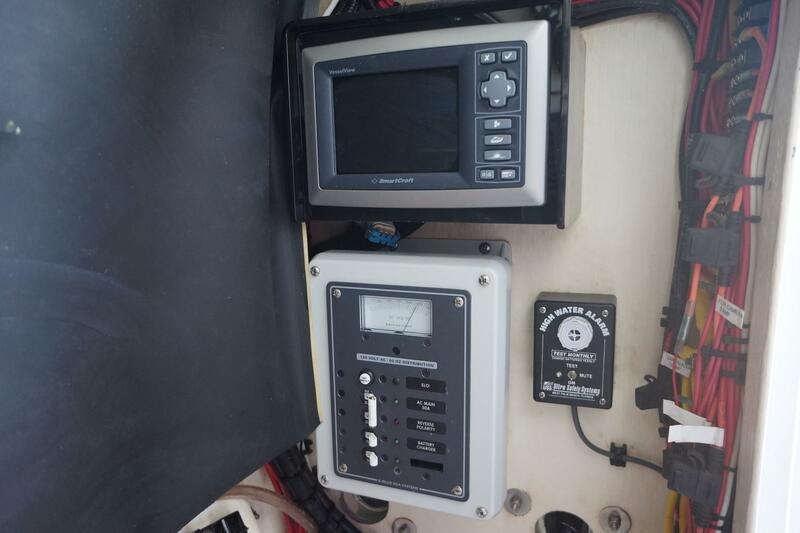 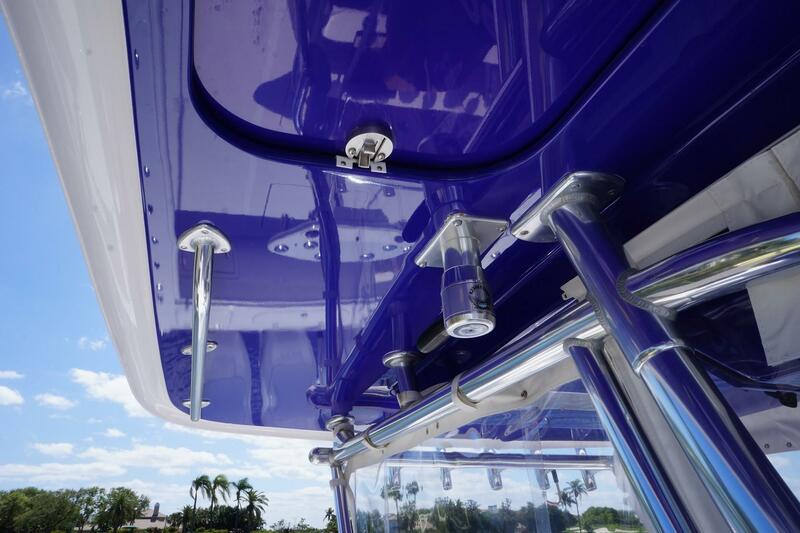 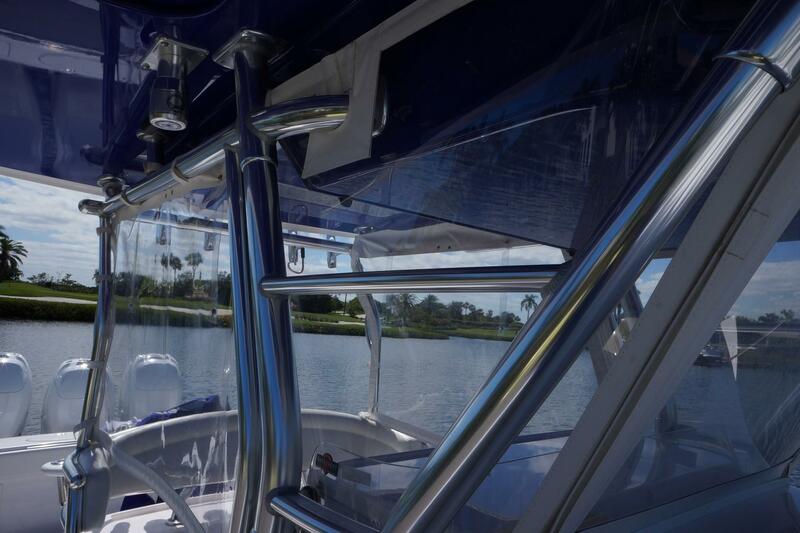 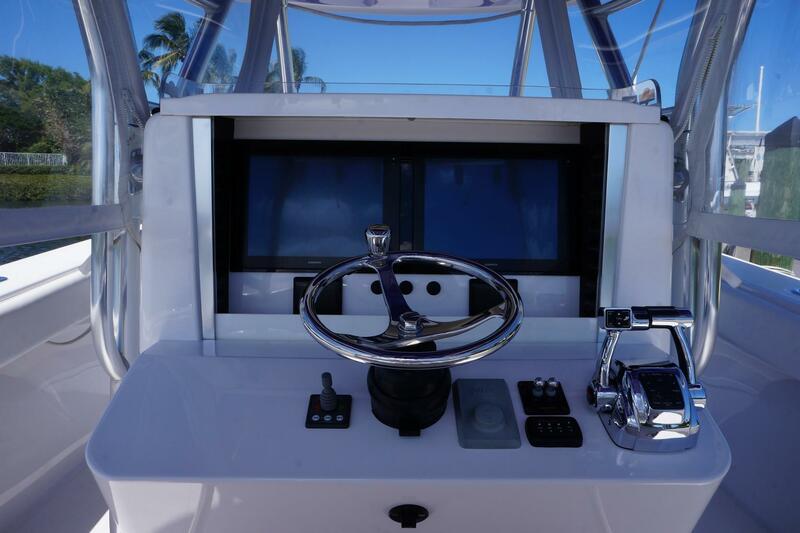 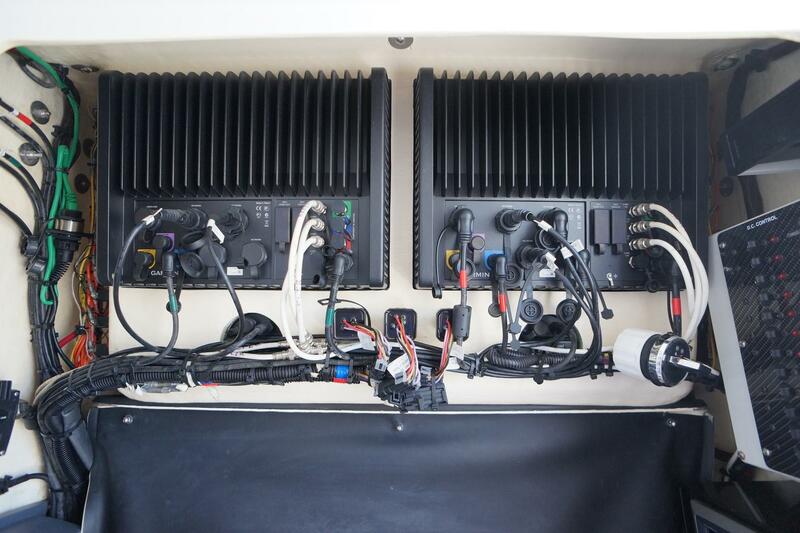 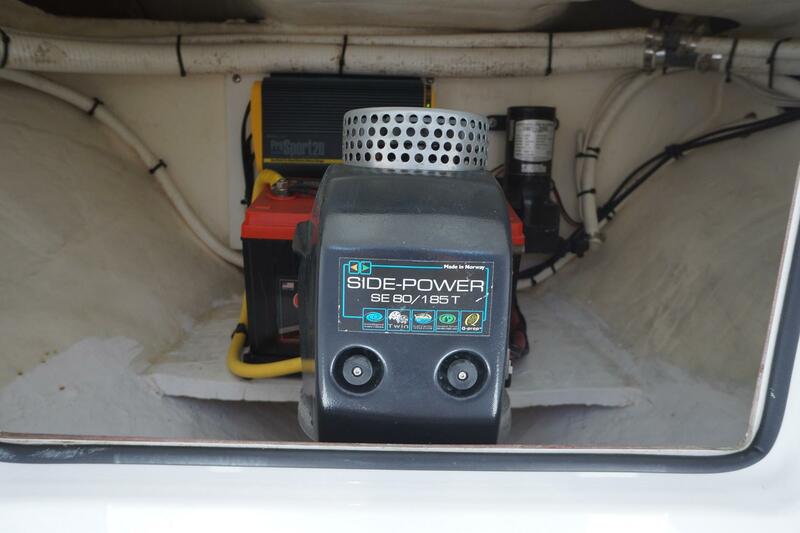 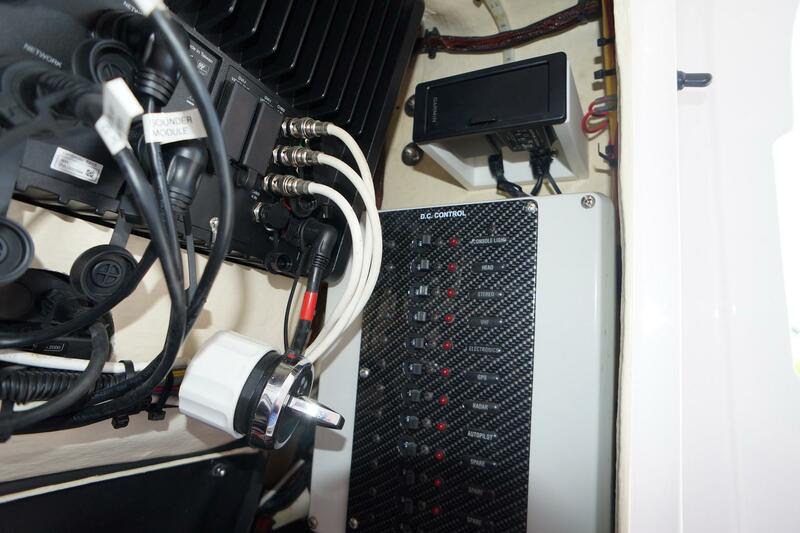 FLIR night vision, trim tabs and bow thruster controls round out the helm controls. 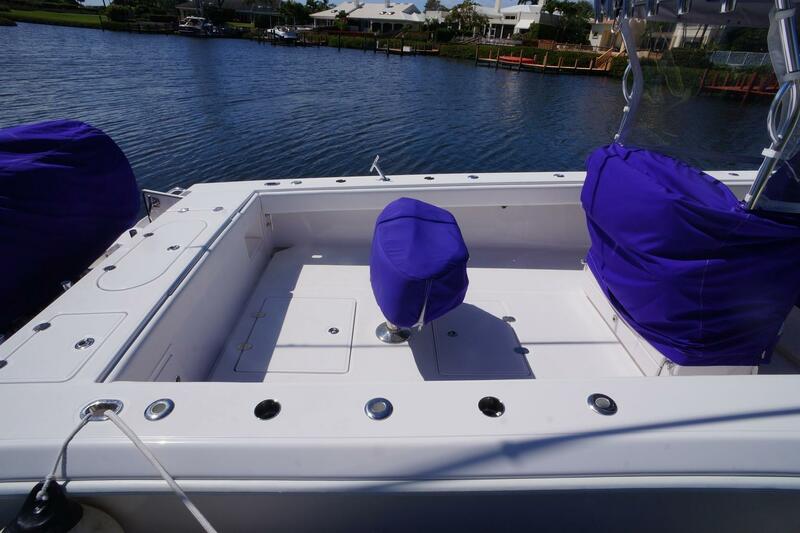 The helm has a custom three-sided enclosure plus wings that go to the gunnels. 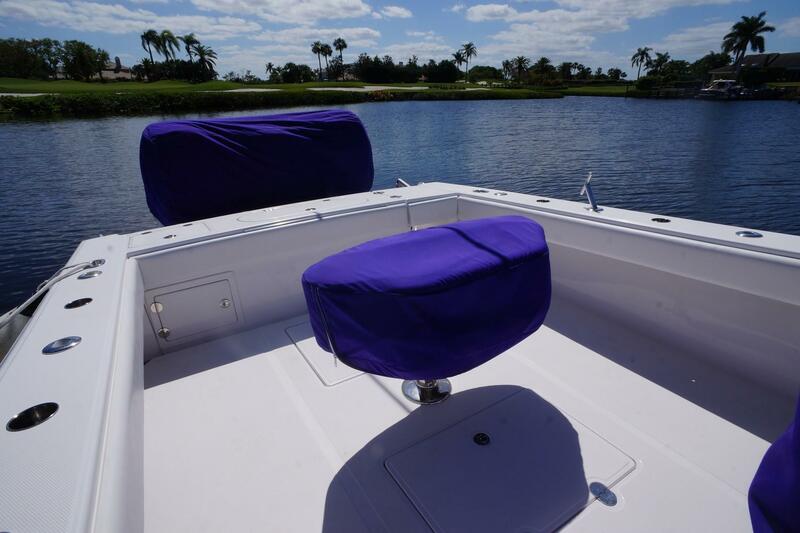 The helm bench seat has a wrap around bolster and there is a removable standing platform and fold-away foot rest. 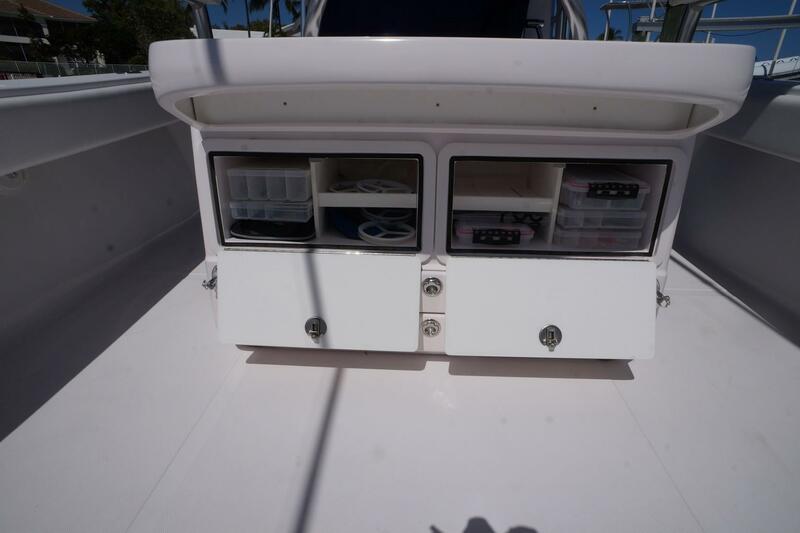 A 4 compartment bait and tackle storage is on the back of the leaning post. 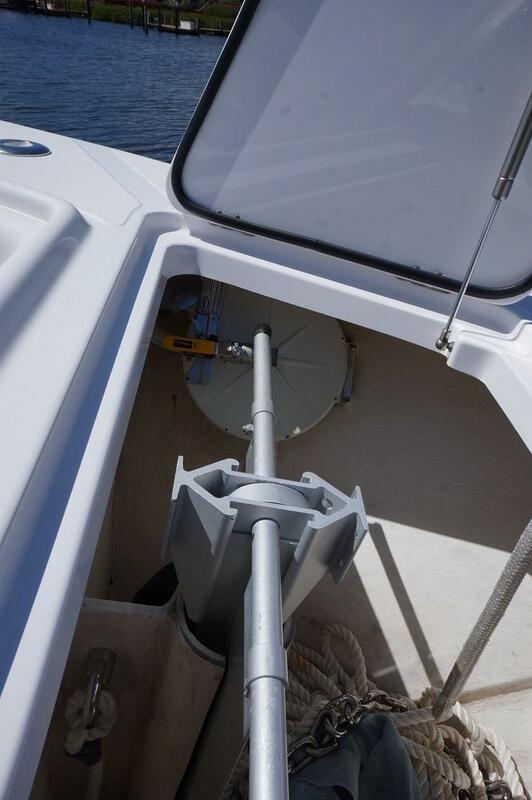 In the cockpit is a freestanding launcher post with 6 rod holders, 2 cup holders and a storage drawer. 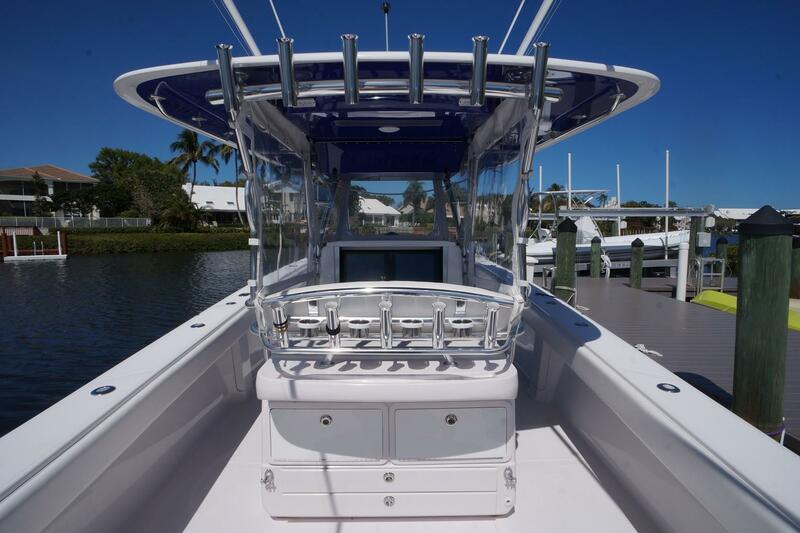 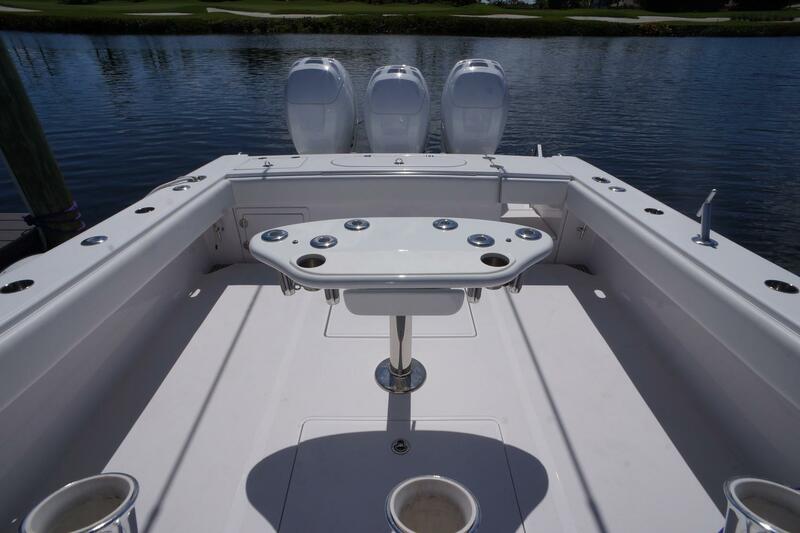 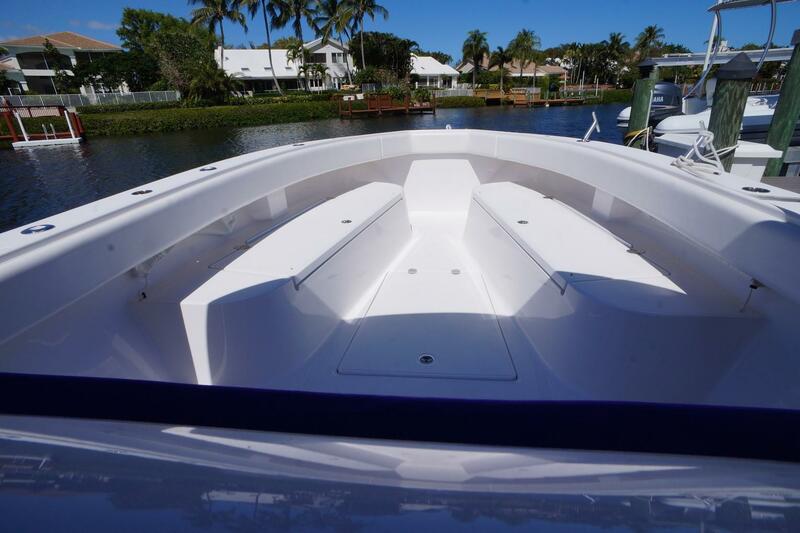 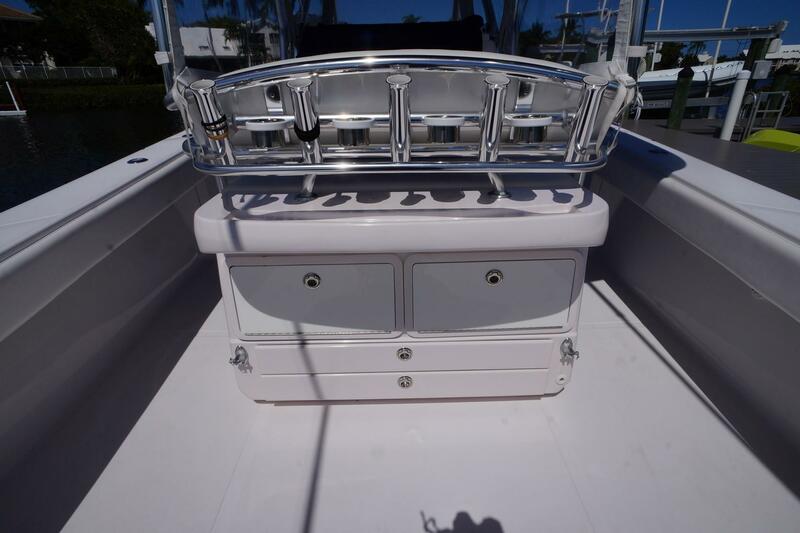 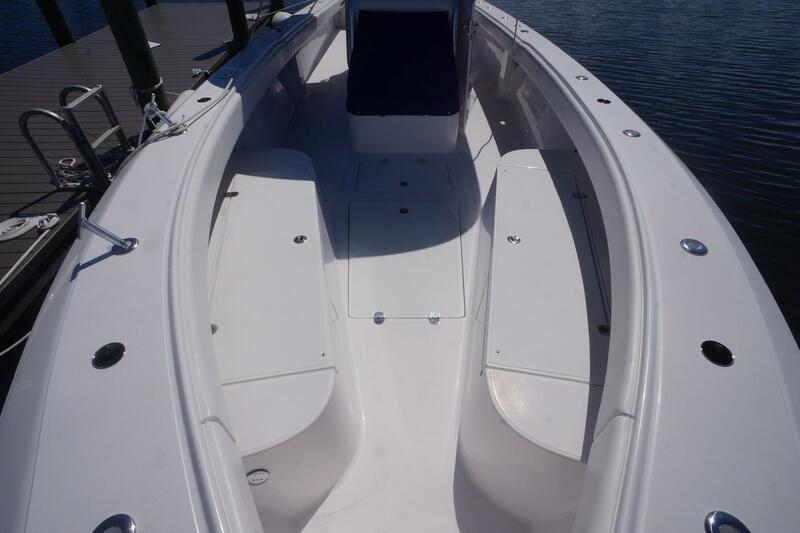 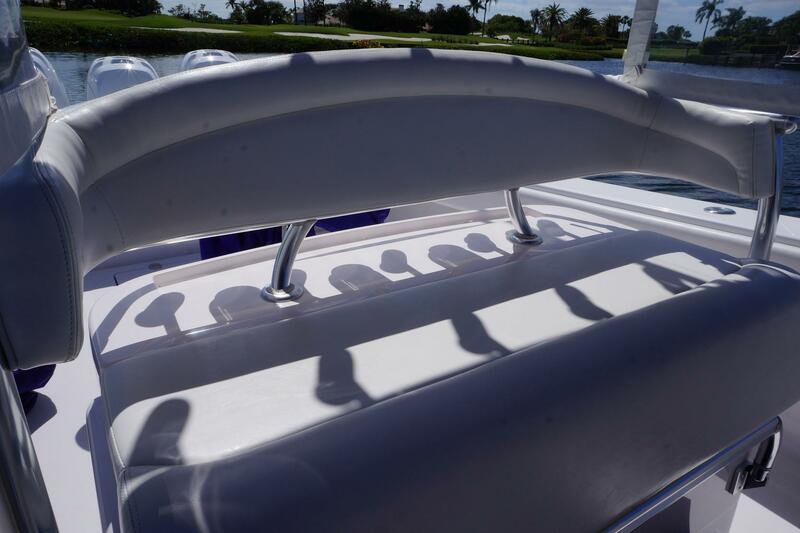 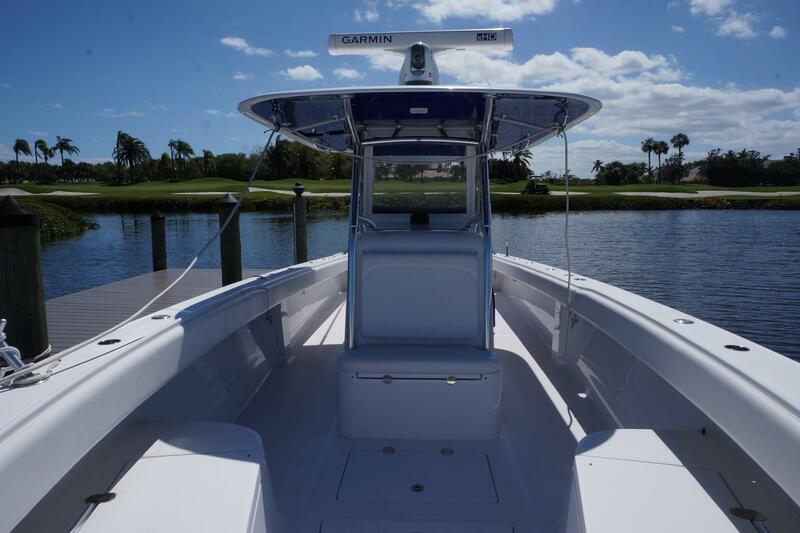 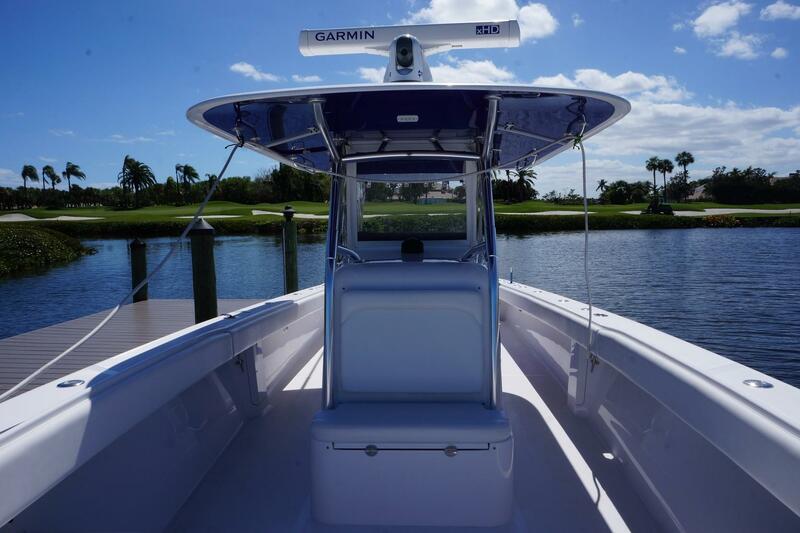 Speaking of rod holders, this boat has you covered - 9 on each gunnel (18), 6 on the hardtop, 5 on the helm leaning post and 3 transom mounted for a total of 38! 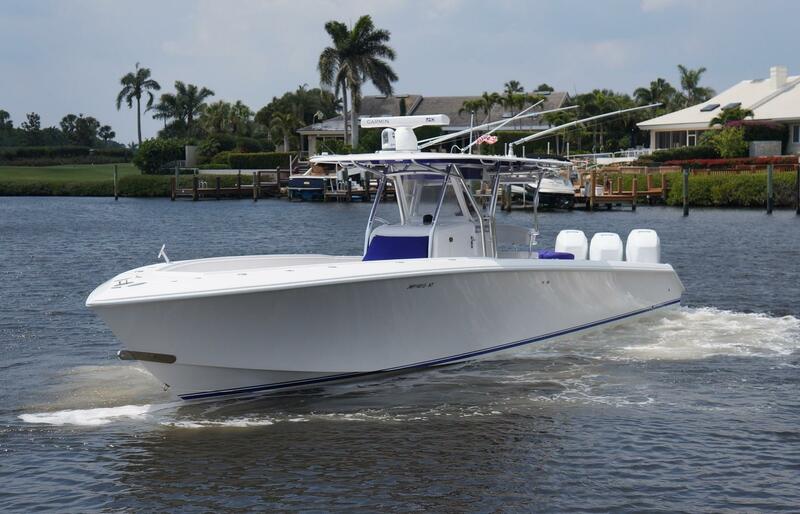 Plenty to feed the Rupp Revolution outriggers. 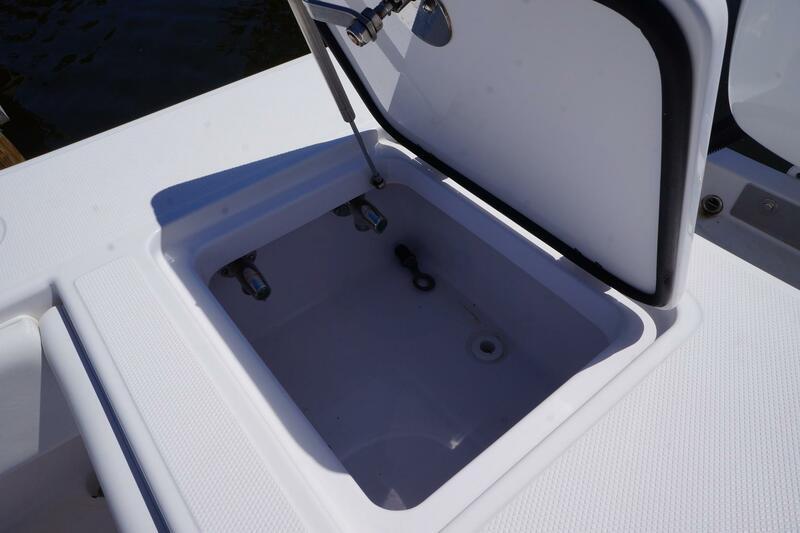 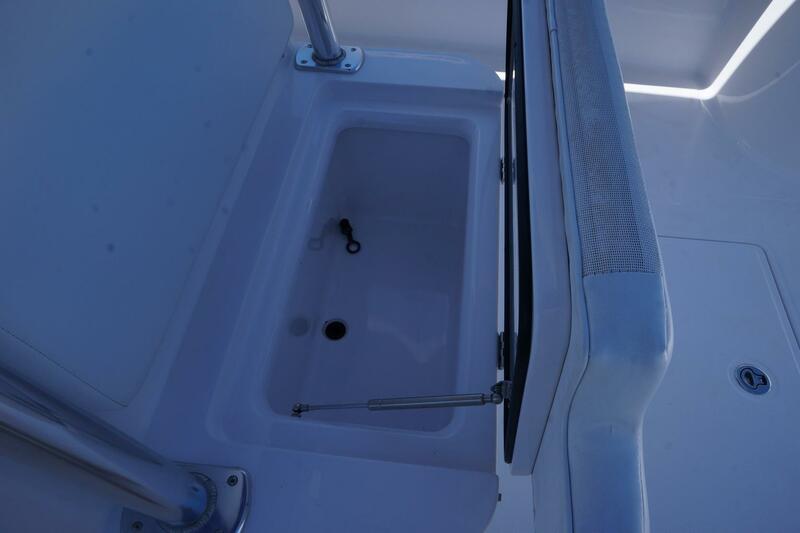 Fishing at the transom provides you with a large center-line live well and starboard prep sink with fresh and salt water. 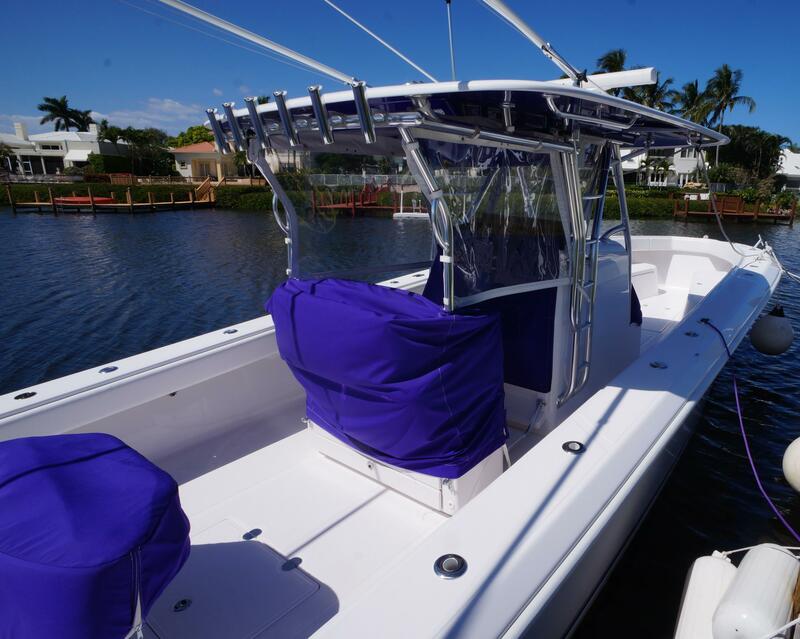 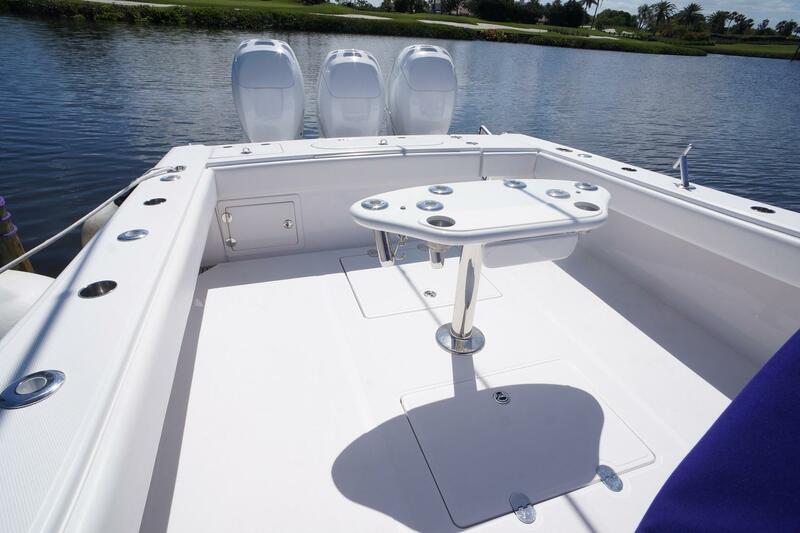 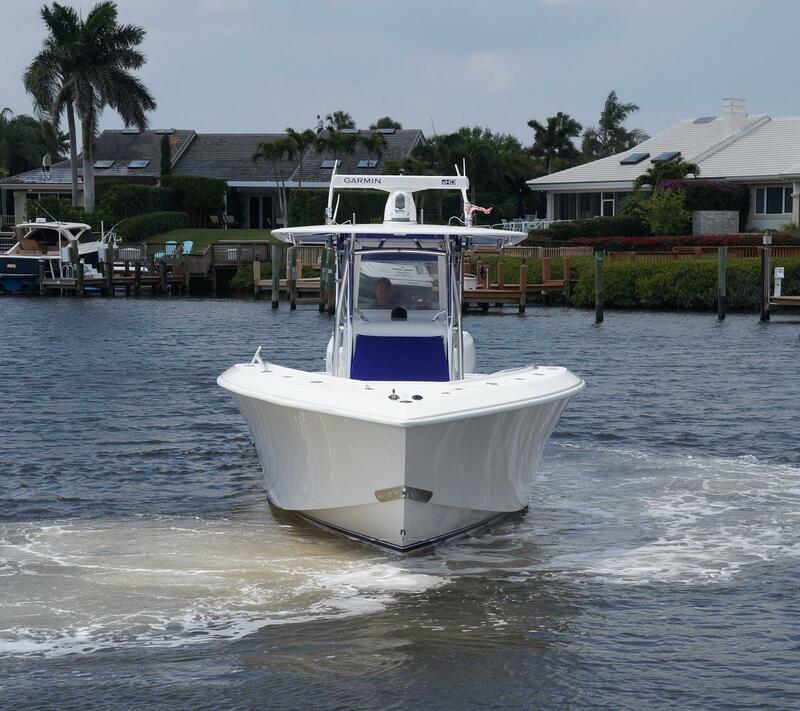 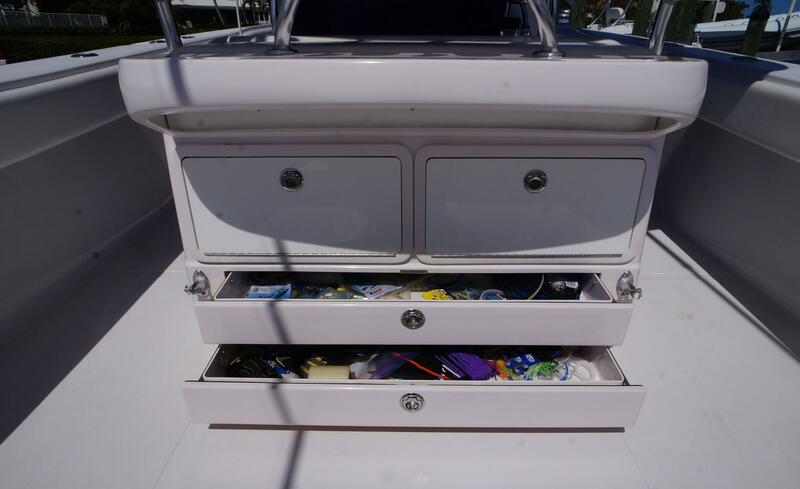 For those days not fishing, the boat has plenty of comfort with full boat bolsters, forward seating, removable transom bench seating and a custom shade that can be used both forward and aft. 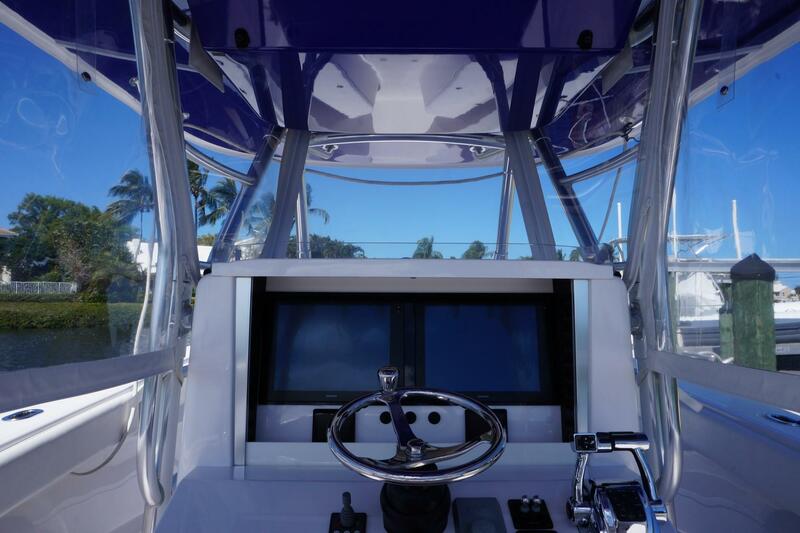 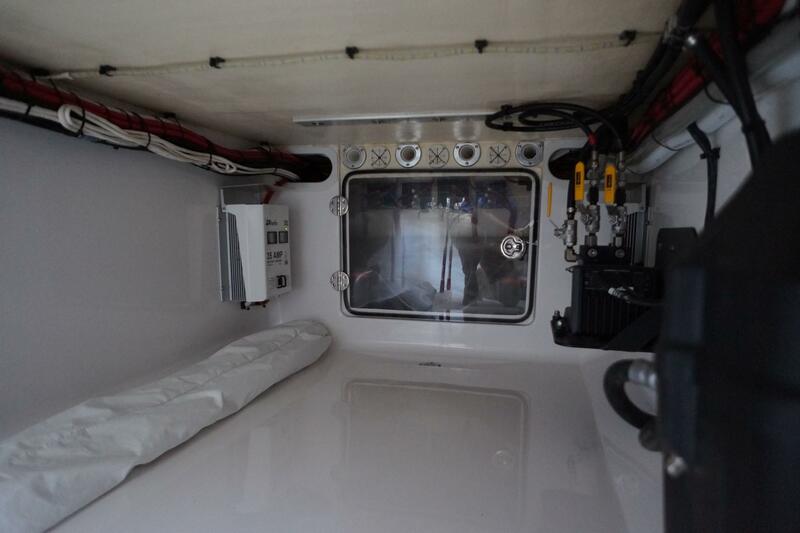 Also, the cockpit is easily accessed through a port side transom door. 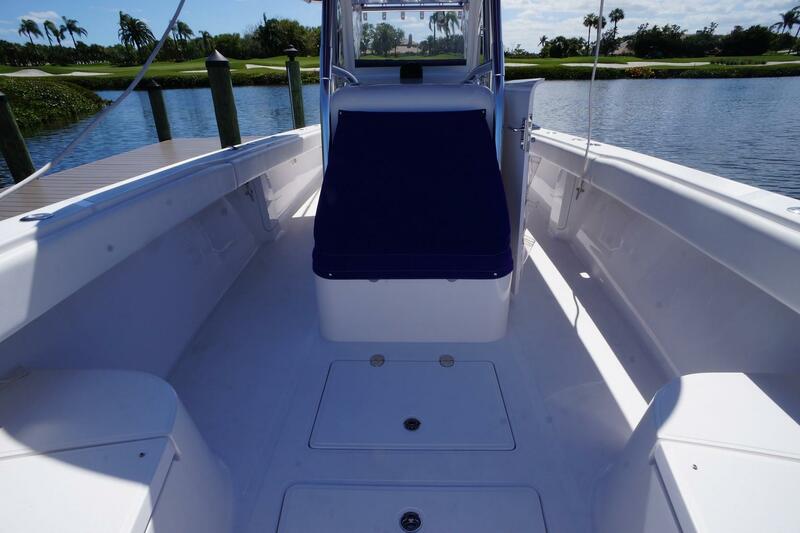 As mentioned, this boat is stored fully covered: engines, cockpit launcher, leaning post, helm and console seat have matching canvas covers. 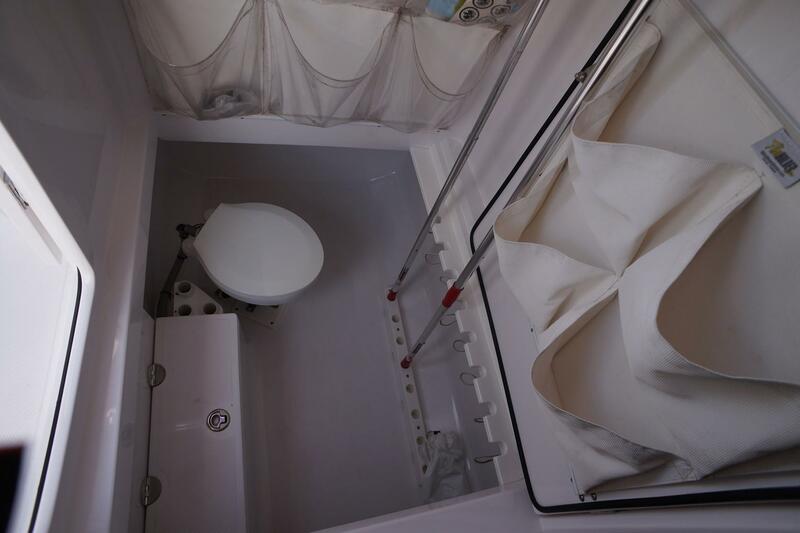 Loose items such as seating cushions and shade are stored inside when not in use. 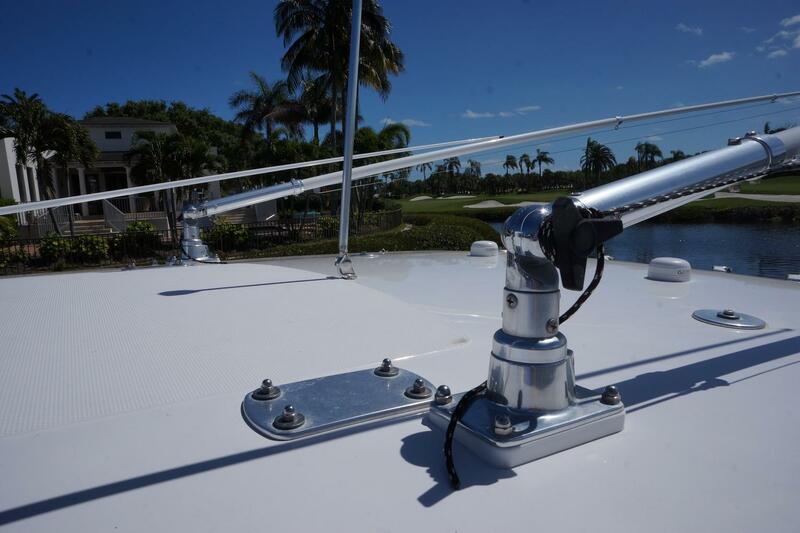 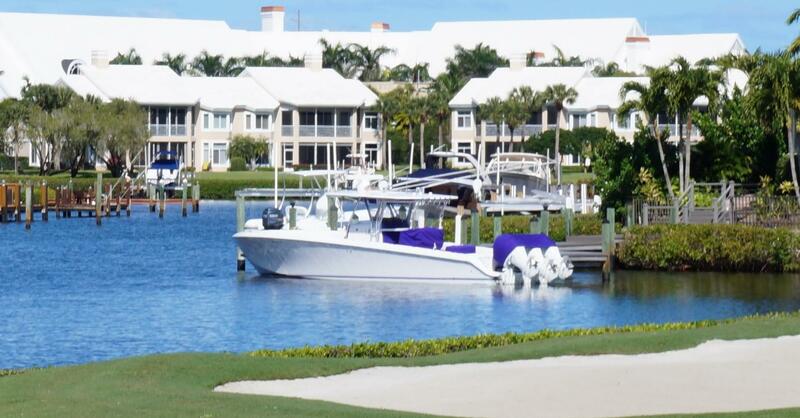 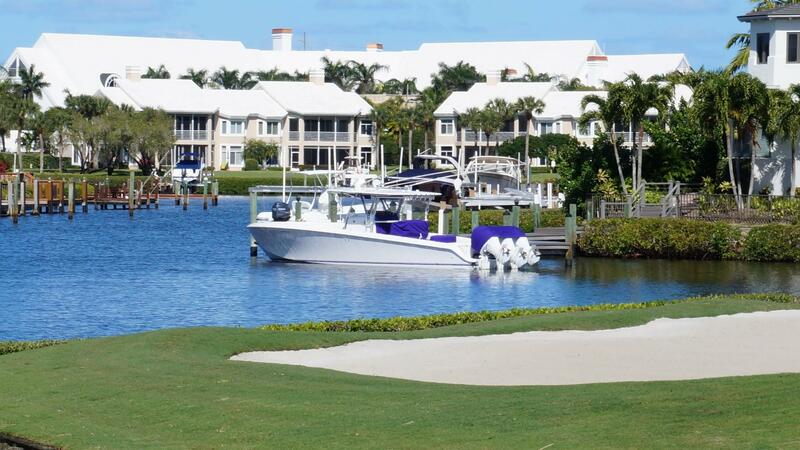 All Flagler Yachts brokerage transactions are a 50/50 split. 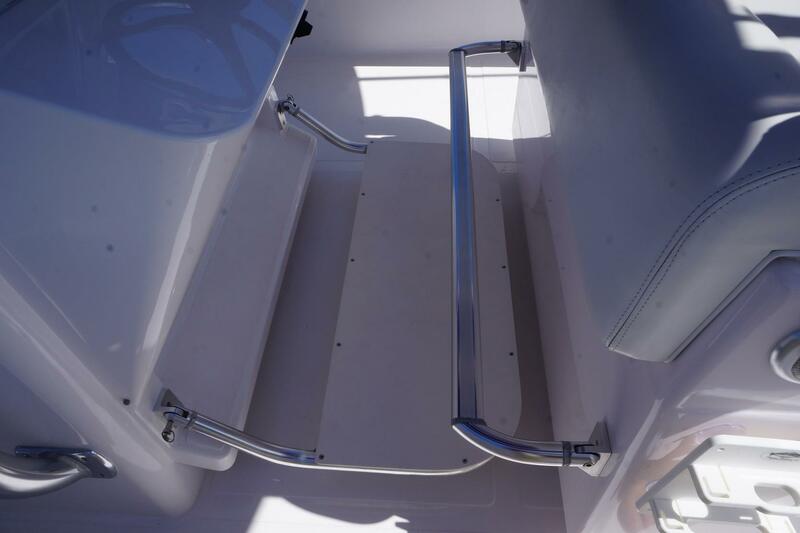 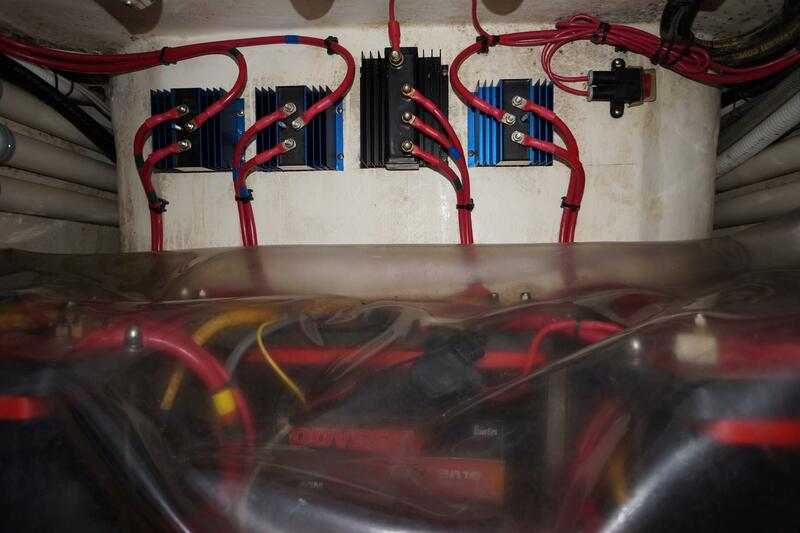 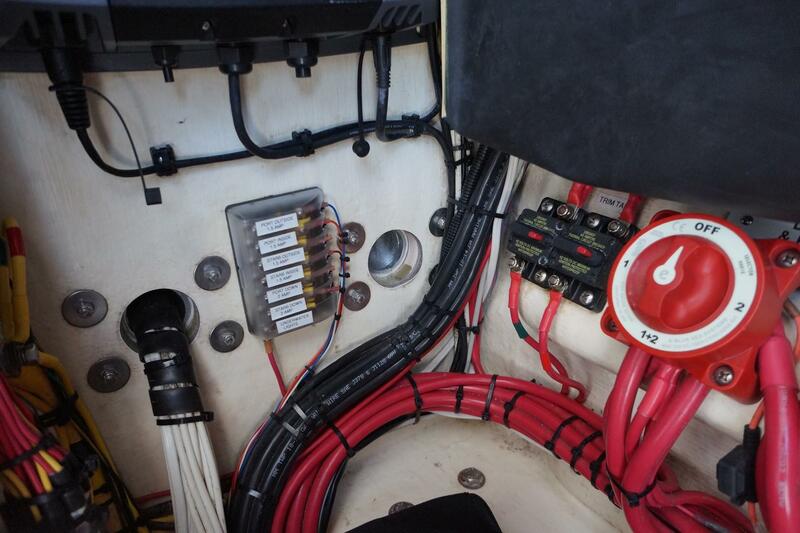 All hatches incorporate 316 SS compression latches with SS pneumatic assist struts.